Sieger in German means winner, and with a 100% match bonus up to a €/$ 200 for your first deposit and then a 50% match bonus up to €/$ 200 for your second deposit, you’re already a winner! For just a minimum amount of €/$ 10 you can join this lively casino and enjoy hundreds of top quality games. Casino Sieger has been offering casino enthusiasts a fun filled environment for over a decade now and with its welcome beacon shining “Enter!” to light up your path, this long-standing European online casino, backed by more than 25 years of experience in the offline casino industry, offers unbeatable advantages. Casino Sieger began in 2009, and over the past ten years it’s grown to provide some great gambling. Based in the United Kingdom and focusing on German speaking countries, Casino Sieger is licensed in Costa Rica, but is heavily geared to service the European market. It is a secure and licensed website that features a great variety of games powered by well-known providers like NetEnt, BetSoft and Microgaming. The theme, feel and look of the website is captivating and the games library is huge. It’s also mobile optimised so you can be sure that when you register at Casino Sieger, your gaming goes with you wherever you are. The casino’s website is simple and designed in browns and greys, but the design has been kept simple on purpose so that navigation is easy for both newbies and the more experienced players. Simplicity makes the games, bonuses and promotions shine! You can play from your browser or download the content straight to your mobile device without losing access to bonuses and promotions, one of the advantages about registering with an experienced casino part of the larger gambling group Condor Gaming, and which belongs to a family of 10 other casinos. 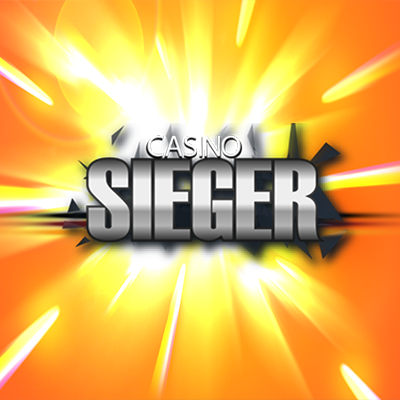 With a minimum deposit required of only €/$ 10, Casino Sieger is accessible to everyone. The welcome offer is a very attractive 100% up to €/$ 200 for the first deposit and a 50% match reward up to €/$ 200 for the second deposit. Once you’ve received your welcome bonus, the offers don’t end there! There are loads of promotions and other bonus offerings throughout the week so keep checking our pages for fantastic casinos promotions, don’t miss out on any new offers! Wagering requirements are pretty standard with online casinos and at Casino Sieger you will have to play your bonus 30 times before you can withdraw your winnings as cash. Safely play all the slot games, Keno, Bingo and Scratchcards until the entire bonus amount has been cleared, because these casino games count for 100% of your wagering requirements. Video Poker counts for 15%, Roulette 10% and all other games 20%. The bonus is not available to players that reside in a country where gambling is prohibited and it’s also not allowed for players under the legal age of 18 years. Casino Sieger also offers a loyalty programme. Playing and accumulating points is a steady way of consolidating bankrolls without having to make huge deposits. Simply by participating in the loyalty programme and playing every day, your comp points will accumulate and your position on the leaderboard will be strengthened. One very interesting thing about this colourful casino is that you can withdraw a certain percentage of your balance while you’re still fulfilling playthrough requirements. For example, if you’ve already fulfilled 40% of the wagering requirements, you can withdraw 40% of your balance. As this online casino is directly geared towards the European market, the cashier and banking options are only available in the currency of Euros. However, there are plenty of payment methods on offer, including credit cards Mastercard and VISA, e-wallets such as Neteller and Skrill and also available is PaySafeCard, Bank Transfer, Sofort and Zimpler. The minimum deposit for all payment methods is €/$ 20, and the maximum players can fund their accounts is €/$ 10,000 in each transaction. Once you’ve registered at this online casino, set up a payment method, you’ll be able to use a “Quick Deposit” feature to re-fund your account in speedy time. When it’s time to withdraw your winnings, the payout process is via bank transfer, however the casino does invite clients to contact customer services for alternative withdrawal methods. Withdrawals aren’t processed as quickly as deposits and there is a 48-hour pending period before the casino can approve any payments to players. There are also restrictions as to how much a player can cash out, there is a €/$ 1,000 weekly or €/$ 2,500 monthly limit. Wagering requirement asks players to play through the combined sum of their first deposit and bonus amount by 30x within 30 days of receiving the package. However, Casino Sieger differs from other casinos as they allow players to withdraw a percentage of their bonus winnings relative to the percentage of the wagering requirements that has already been cleared. This means that if a player has wagered 80% of their play through requirements, they can withdraw 80% of their earnings. CasinoSieger has hundreds of slot games to play that powered by the top names in the software business like NetEnt, Quickspin amd iSoftBet. Very popular titles in their hundreds of available top quality slot games include MegaFortune, Aliens and Attraction. The rich selection of slot games includes classic three reel slots and impressive five reel video slots with multiple pay-lines and bonus rounds. All of the slots offer sharp 2D or 3D graphics, spectacular sounds and very smooth gaming action. NetEnt Video Slots include popular titles like Big Bang, Starburst, Mr Vegas and Wild Witches and some of the 3D Video Slots from Betsoft include popular games like The Exterminator, The Curious Machine and Safari Sam. For those who prefer the excitement and thrills of land based casinos, the Live Dealer casino brings you all that and more from the comfort of your home. Broadcast via a high definition video link from a casino studio, you can play Baccarat, standard, multi-player or high-roller Blackjack, Casino Hold’em and Roulette. With a live casino you can see your cards being dealt, the Roulette wheel spinning and even interact with the dealers just like you would in any land casino. All you need to do in order to play the great live dealer games in open an account and make a deposit and once you’ve done that you can enjoy live action 24/7! There is also a sportsbook where you can follow your favourite sports and even bet on them live while the game is still ongoing. Casino Sieger offers a large range of games from NetEnt, Microgaming and Betsoft on its mobile optimised service. Mobile players don’t need to download an app either as this casino can be accessed on mobile browsers that are powered by Android and Apple iOS. Since 2009 Casino Sieger has accumulated enough experience to offer a great casino with relevant licenses and top security. Under the management of its parent company Condor Gaming SRL, CasinoSieger it forms part of a group of successful casinos such as b-Bet Casino, 24 Bettle Casino and Rembrandt Casino. They have a gambling license issued by the Government of Curacao and a link to a certificate that verifies that Condor Gaming and its affiliates are compliant with the Gambling Portal Webmasters Association code of conduct. These regulatory licenses guarantee a transparent and very safe gaming experience. CasinoSieger offers its services to gamblers all over the world even though its primary focus is tailored towards Germanic countries like Sweden, Norway, and of course Germany. The website offers live support in the native languages of those countries as well as in English and you can contact them from Monday to Friday between the hours of 12:00 to 24:00. During the weekend they operate with limited hours. If live chat isn’t available, you can send them an email to [email protected], which will be answered as quickly as possible. For those commonly asked questions, head off to their extensive list of FAQs where you can get more information on important aspects of the casino such as bonus terms, payment options and technical problems. Overall, Casino Sieger’s support team are capable and caring and will answer all your questions quickly and efficiently. For VIP players, there is an option to telephone support as well as request a call back. Casino Sieger have established themselves an all round fun place that will keep you coming back for more. There’s no lack of variety in their slot games and table and card games and an ever growing community is proof that they are doing many things right! Mobile optimisation means that you can enjoy the fun from wherever you are, so if you’re looking for an excellent choice of casino games, live dealer games or mobile games then we are sure that Casino Sieger is for you. Why not take advantage of the Welcome offers and see for yourself all the great things this casino has to offer.